HTML5, the foremost technology you haven’t got the real dream of the online picture before some era, But now! It is possible for all to access. It is nothing but a web development format used to watch videos online via iPhone, iPad and Android devices. If you wish, you can convert any video format to HTML5 using some software available in the market. In this article, we'd like to recommend some for your flexibility. Before getting started, let's see why people want to convert especially MOV to HTML5 first. Actually, there's always a statement that "MOV is not used for all kind of videos", so if you want to watch videos in high definition display, you must consider converting MOV to HTML5. In addition to that, we list 7 other reasons for converting MOV to HTML5 for your information. HTML5 supports all versions of Firefox and Google Chrome, Internet Explorer, Opera, Apple Safari and IE. The user has the purpose to convert into 3 video formats such as MP4, .OGG, WebM. 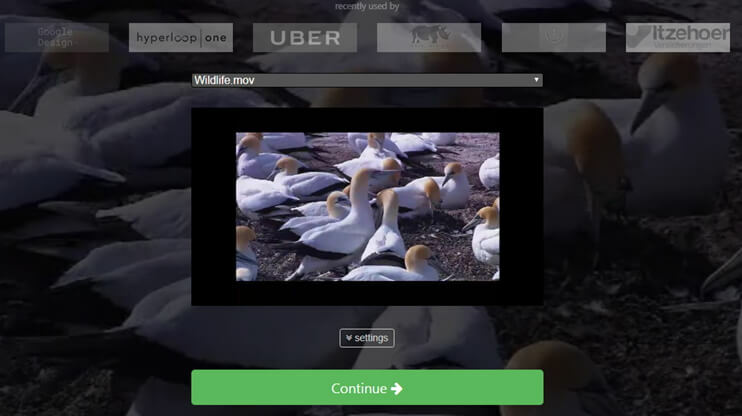 These video formats are created for the HTML5 completion. To get the same wavelength with IE and browser in the old sector. In order to the operating system, HTML5 supports iPad 1+, Blackberry 6+, iPhone 3+, Windows Phone 7+, Android 2.1+. The user can watch all types of subtitles such as Italian, Brazilian Portuguese, French, Swedish, Dutch, and Spanish etc. For clear HD resolution, the person can convert from MOV to HTML5 in QHD, FHD and 4K. It fixes the bug problem with Mac OS. Using online tools to convert MOV to HTML5 is very famous today and no more lengthy process to convert MOV to HTML5. 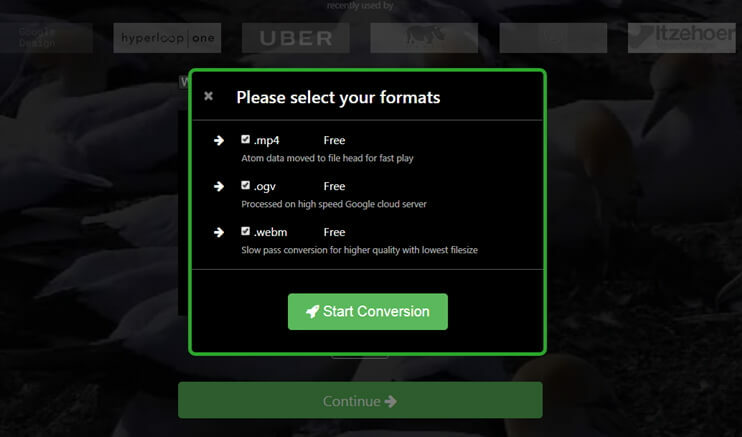 Converterpoint.com just provides you with the best conversion method availing you to watch videos in MP4, WebM and OGV. It has a capacity to run all forms of file format and converts the larger file online. What's more, it guarantees no ads or virus attack during conversion process. Step 1: Firstly, go to http://converterpoint.com/ and click Browse to select the MOV video you want to convert. Step 2: After loading your target MOV video, you will get a Continue icon. You can either click settings to make adjustments to MOV video or hit Continue to proceed. Step 3: Now you will be directed to the window displaying a list of formats in HTML5 such as MP4, OGV and WebM. Select the file format that you want to convert to and click Start Conversion to proceed. Step 4: Then you'd get a screenshot as below, choose one to confirm your output choice. Step 5: When the MOV conversion ends, you can download it easily by clicking the Cloud icon. Note: There would be some limitations: Generally, the video size is calculated on basis of bit rate and not with the point of file size. The video gets to play once if the small file size is loaded and in more it gets loads. If your video is filled with heavy movement then it will tough to play as per the bitrate schedule. If you want all-in-one process inclusion – the only option we'd recommend is Wondershare UniConverter (originally Wondershare Video Converter Ultimate), which is professionally designed for video conversion in high definition. It is also easy to use that you can effortlessly convert MOV to HTML5 supported video formats without any technology-oriented knowledge. It support 1000+ video and audio formats for conversion, editing, compress, and others. You can convert videos with super fast speed and high-quality output. 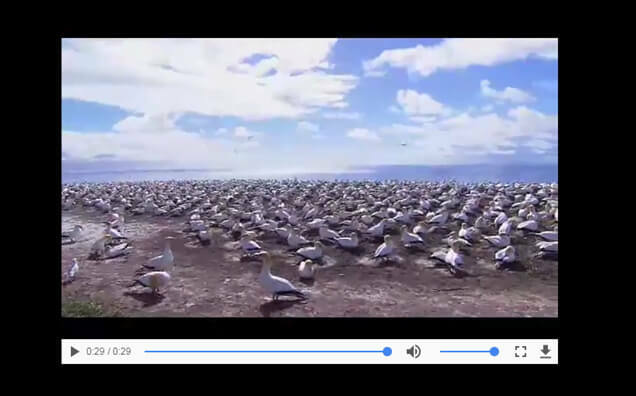 Convert video to 1000+ formats, including MP4, AVI, WMV, FLV, MKV, MOV, and more others. 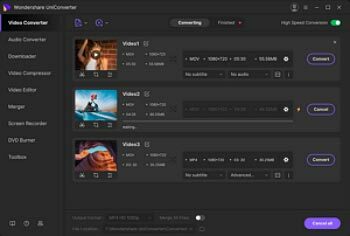 Edit, enhance & personalize your video files with trimming, cropping, watermarks, subtitles, etc. Transfer videos to iPhone/iPad/Android and other external devices easily via a USB cable. Support batch conversion with super fast converting speed and high-quality output. You've learned the detail process of the online tool to convert MOV files now. 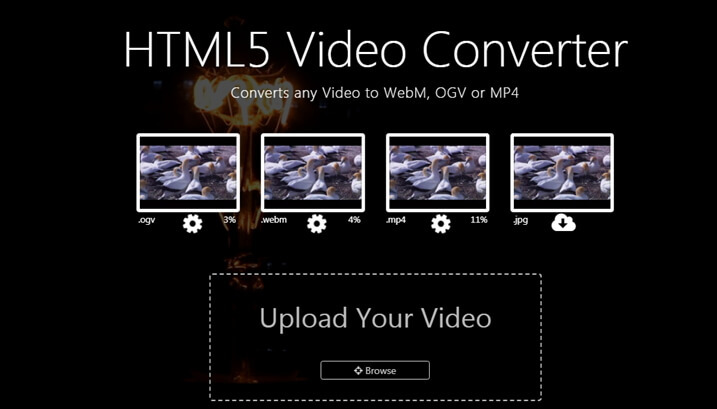 Come to convert MOV to HTML5 within a few steps and enjoy your movie clippings in HTML5 right away!